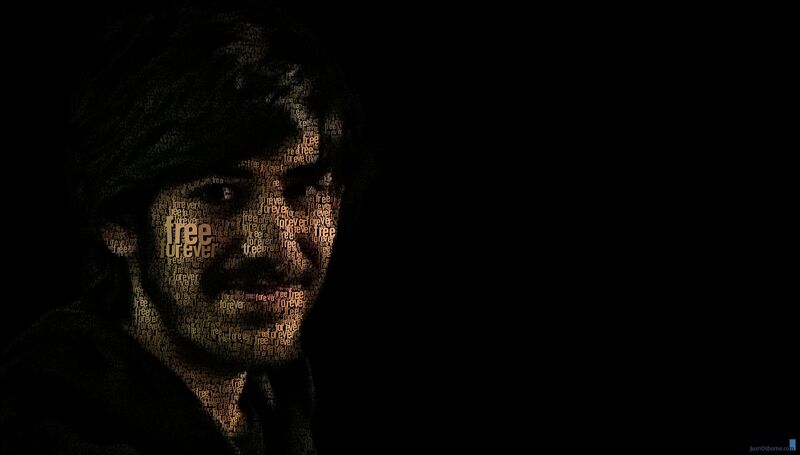 Internet’s own prodigy, the story of Aaron Swartz is the story of modern Prometheus. Like Prometheus who was punished by gods for stealing fire for mankind, Aaron Swartz was punished and indicted for sharing a wealth of knowledge locked up by corporate interests for profit. Computer programmer, hackitivist, political organizer, revolutionary, Swartz believed in using his programming skills to make the world a better place. Written and directed by Brian Knappenberger, The Internet’s Own Boy: The Story of Aaron Swartz maps the story of one of the most creative minds of the 21st century. Beginning with the quote of Henry David Thoreau, the documentary poses the very relevant question, the same question which was asked by Swartz again and again, if unjust laws exist, what shall we do? Shall we obey them, amend them or transgress them? 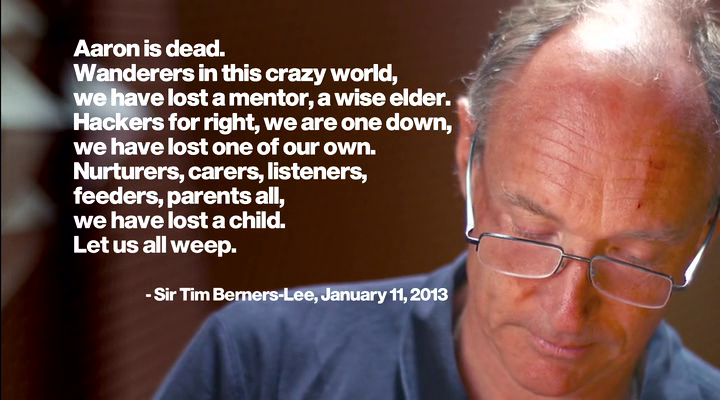 Pieced together by combining the narratives of Aaron’s family, close friends including Tim Berners – Lee (the founder of World Wide Web), partners, commentators; the documentary leaves the audience angry, sad and baffled by the way this genius is hunted, harassed like a criminal and ultimately pushed to commit suicide by the government. Depicting Aaron from early childhood, the documentary charts his genius from the early age, records his questioning of school authorities, society, government regarding the education system, manifests his curious nature and his interest in the internet and programming. 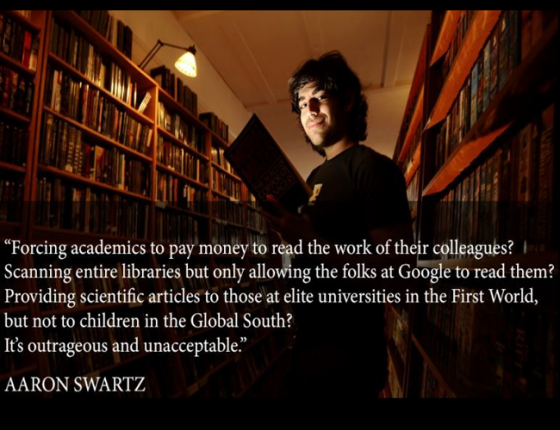 Having welcomed by tech community with open arms, Swartz moved from developing RSS at the age of fourteen to co-founding Reddit to providing access to public knowledge. Believing that knowledge should be accessible to all, legacy of generations should be disseminated without charge; Swartz campaigned against copyright law to keep information free and from being trapped by a few. Arrested for downloading JSTOR journals, to provide free access of information, Swartz faced 35 years of jail-time on 14 counts of felony. Treated like a criminal, the government saw no difference between stealing documents, data or dollars. Brilliantly told, The Internet’s Own Boy: The Story of Aaron Swartz illustrates the life of an iconic figure that reshaped the internet, refused to bend because he believed in maintaining the technical integrity of internet and bringing out more freedom for people and making the world a better place instead of earning a few dollars. Well researched, intense and moving, the documentary demonstrates the travesty of justice, MIT’s failure to protect one of its own, the prosecutorial overreach, pouring of millions of dollars of taxpayers’ money in prosecuting one of the most promising minds of the 21st century which resulted in untimely death of Aaron Swartz, internet’s own boy. Beginning and ending with Swartz’s childhood clippings, the documentary captures one of the most moving eulogies written by Tim Berners – Lee paying homage to Swartz’s genius, which is cut short by a tragedy. The Internet’s Own Boy: The Story of Aaron Swartz is a moving portrait of Swartz life, passion, drive and ambitions. At the age of 26, Swartz left a huge legacy, the legacy that let a fourteen old boy discover a cure for pancreatic cancer. Intense, touching, heart breaking, The Internet’s Own Boy: The Story of Aaron Swartz depicts the pain, angst and suffering of Aaron’s family and friends and leaves the audience with a powerful feeling of injustice and anger.